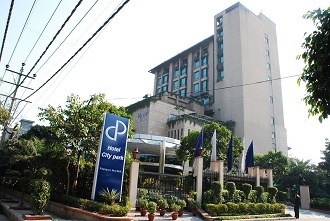 A 4 Star luxury hotel located near TV Tower, PitamPura. There are 58 rooms decorated with traditional works of art and hand picked local artifacts. There are dining options, namely Yellow Mirchi - an Indian restaurant, Cafe 24 - round-the-clock coffee shop and Opium bar. Guests can check-in to the health club for overall wellness and also take a dip in the pool, which adds fun to the stay.